Magnets for dogs and pets in general, can be a good alternative therapy to treat pain, and promote blood circulation. They have shown to have beneficial effects in the over all well being on certain situations where pets have gone through surgery. The anti-inflammatory benefits of the North (negative) side applied to the area that has undergone surgery can help ease the pain associated with the normal after surgery inflammation process. The South (positive) side of magnets can help pets as a natural analgesic, preventing minor infections in wounds and cuts. Magnetic therapy expedites the healing process of acute or chronic conditions. Magnetic therapy can also help to alleviate the pain in circumstances where arthritis and regular aging can limit their mobility. Magnets for dogs and pets will help improve blood circulation and will not interfere with any medication the pet might be already taking. Magnets for dogs and pets can be found in various forms, including matts, jackets, and collars. They can be customized using cloth containers that can hold them in place, like a quilted magnetic therapy pad which can hold several magnets. This is a portable pad that can be attached to the pet’s back, or even used as a jacket so that the magnets are in contact with the particular area that needs to be treated. You will have to find the best way to keep the magnetic pad in place by using adjustable belts that can have velcro strips. 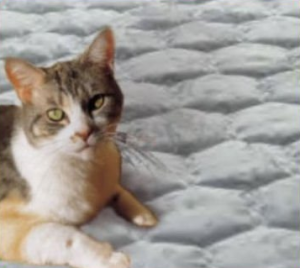 Another good option is to buy a magnetic therapy pad that has powerful magnets built into and place it underneath the regular pet’s bed he already loves. Magnetic collars and necklaces are becoming very popular with different styles and colors available. They are anti-shedding, and promote better blood circulation overall. Magnets for dogs and pets are simple to use, they are not invasive and can be placed on the pet’s body indefinitely as long as the pet feels confortable wearing them. You may choose between neodymium magnets, or ceramic magnets, depending on the size of your pet. Visit our reviews tab where you can find more related information about the characteristics of therapeutic magnets. 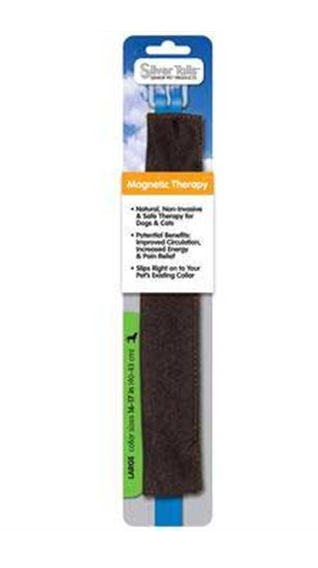 Magnets for dogs and pets, as well as any other type of magnet for therapy use, has it’s limitations and precautions should be taken in consideration, particularly in situations where the owner is wearing a pacemaker, and the pet should not get closer than 2 feet from the pacemaker unit itself. Please read our disclaimers for more information.